I am a theology nerd. If you want to have an awkwardly silent conversation with me just ask me about what I do for a living, tell me about your car’s engine and your new shiny phone or bring up some celebrity gossip. I just can’t bring myself to get excited about 'normal' things but ask me about how chiastic structures within scripture influences our hermeneutics (please do, I’m still waiting for this to happen at a party) and my face will light up and we will chat all through the night. So theology is important to me, it effects how we view God, how we view the world and how we treat others. And don't misunderstand what follows either, sometimes we need to correct people who are clearly teaching things that are in error and could cause division and harm down the road. But I want to focus today specifically on what the Bible speaks about when it refers to sound doctrine which is a bit more specific than theology as a whole. About 9 years back I was in a church that believed its mission was to re-indoctrinate the church with our specific brand of fundamentalism. Right belief (orthodoxy) for us was more important than anything else, perhaps even more so than right living (orthopraxy). Of course this was not openly admitted, I’m not sure people were even aware of it but it was nevertheless evident in our fruits. This was what I thought of when I thought about sound doctrine. But let me shock you and state right at the beginning that sound doctrine has nothing to do with our opinions about Calvinism, our view of eschatology or what we think about dispensationalism. When the authors of scripture wrote about sound doctrine they did not have baptism or the cessationism in mind either. One friend of mine with a similar background says that his old church leaders complained that “when people start talking about love sound doctrine goes out of the window”. It is a common perception that sound doctrine refers to ones intellectual confessions apart form their actual lifestyles. So here is a statement of my own, when people start talking about love we are starting to discover what sound doctrine really is. Let me explain by looking at scripture itself, many people call the Paul's letters to Titus and Timothy the Pastoral Epistles, if you are familiar with my ecclesiology then you are probably aware that I would disagree. I actually think that Titus and 1 Timothy in particular would better be known as the ‘Sound Doctrine’ epistles. Let’s look at some of the content from each epistle to see why I say that. "Teach the older men to be temperate, worthy of respect, self-controlled, and sound in faith, in love and in endurance. Likewise, teach the older women to be reverent in the way they live, not to be slanderers or addicted to much wine, but to teach what is good. Then they can urge the younger women to love their husbands and children, to be self-controlled and pure, to be busy at home, to be kind, and to be subject to their husbands, so that no one will malign the word of God." Let me give credit where it is due, much of what I picked up above came from an excellent article written by Keith Giles on the same topic. But let me share a little extra from 1 Timothy as well. O Timothy, guard the deposit entrusted to you. Avoid the irreverent babble and contradictions of what is falsely called “knowledge,” for by professing it some have swerved from the faith. All Scripture is breathed out by God and profitable (not for a good college education but) for teaching, for reproof, for correction (toward right living), and for training (not in self righteousness but) in righteousness, that the man of God may be complete, equipped (not for recognition as a spiritual guru but for) every good work. Perhaps it is because of how we use this phrase in modern language but whenever I have read this verse in the past I had this image in my head of some communist dictator just blasting anyone for the slightest of offenses. It always seemed so at odds with who Jesus is as revealed elsewhere in scripture. One could say the same thing about much of the book of Revelation actually. But as I have stated elsewhere, I believe that my previous understanding of the book of Revelation was deeply flawed and that, when read in the right way, it actually fits very well with what we read of Jesus in the gospels of Matthew, Mark, Luke and John. Much of the violent imagery in Revelation is actually written in a way as to purposefully contrast the violent ways of Babylon and the dragon with the nonviolent way of the Lamb (which is the title most often used of Jesus in Revelation). Consider for example the first part of the same verse I am discussing where it says that “From His mouth came a sharp sword to strike down the nations” and also 2 verses earlier how He rides in to battle with a “robe dipped in blood”. I see two choices here; one could ignore everything that Jesus previously said about loving ones enemies or about those who live by the sword and go with a violent interpretation of Jesus. Or one could recognize the same Jesus who conquers by laying down His own life (Rev 5:6-13) and realize that the blood on His clothes is His own (remember He is riding into battle) that was shed for His enemies and recognize that the sword is not in His hand but rather in His mouth, making it more likely a symbolic gesture that He wages war with the truth of His words rather than a literal sword gripped between His teeth. So what do I make of Him ruling with an iron rod then? Does Jesus finally give up on the good shepherd act for the superior way of a harsh overlord? You probably already figured that I am of the “Good shepherd” persuasion but allow me explain why. Firstly, the rod of iron mentioned here is believed by many scholars to be referring to a shepherd’s staff. To quote Eldred Echols from his commentary on Revelation entitled, “The Dragon’s Defeat”, “The crook is used to control the sheep. The hook was used to pull the sheep back into line”. This idea has support in Micah 7:14 which says “Feed my people with thy rod” in the KJV or as the NLT puts it, “Protect your people with your shepherd’s staff”. 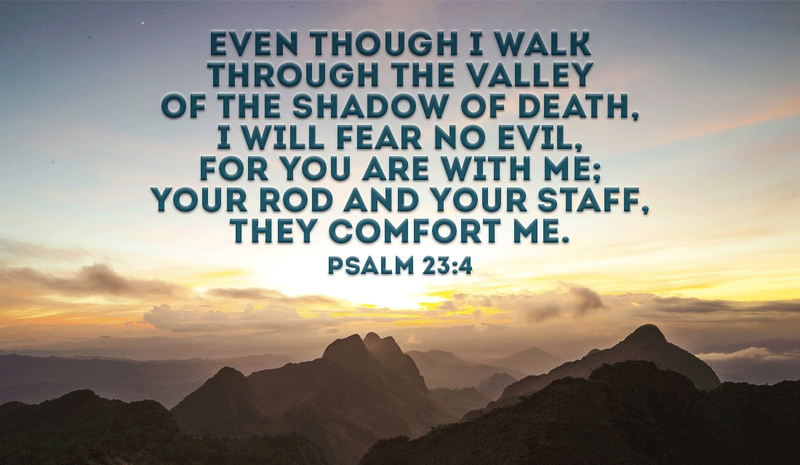 One is also reminded of Psalm 23:4 which says, “Your rod and your staff comfort me”; Psalm 23 is also of course the famous “The Lord is my shepherd” chapter. The idea of iron might just be symbolic of strength or truth as it is occasionally used elsewhere in the Bible. But what makes this interpretation most compelling is the fact that the Greek does not actually say “RULE the nations with a rod of iron” but rather “SHEPHERD the nations with a rod of iron”. It is the same word we see in John 21:16 where Jesus says to Peter “FEED my sheep”. It is used again in Acts 20:28 where it says, “FEED and shepherd God’s flock”. In 1 Peter 5:2 again it is translated as “CARE for the flock that God has entrusted to you.” There are other similar examples in scripture as well but the point is clear. Once I had discovered this I started to look up the Greek words in other verses where I could remember the word ‘rule’ or ‘ruler’ popped up. I remembered Jesus’ words to His disciples that the rulers of the gentiles like to lord and exercise authority over others. I remembered in John 12 where it said that Satan was the ruler of this world. The few verses I looked up with the word ‘rule’ in them all had different Greek words to the one used in Revelation 19. I subtitled this post Bible translations gone wild because this discovery was made during a Bible study and the 4 translations that we were working with all read “rule with a rod of iron”. Later on I discovered that only 5 out of 23 translations that I could find used the word shepherd rather than rule. One can only assume that the popular violent interpretation of the chapter as a whole as well as influence of past translations may have influenced the translators to say ‘rule’ rather than ‘shepherd’ in most cases. Despite my protests, one does however have to acknowledge the idea of wrath and judgement in the context of verse 15 as well but not at the expense of letting go of the God who also gave us the Sermon on the Mount. Understanding wrath as a handing over of someone to their own destructive ways (see Romans 1:26 and Isaiah 1:31) and viewing chapter 19:15 in light of chapter 16:6 we can see that evil has a way of destroying itself. The hugely anticipated battle in Revelation 19 is rather disappointing if you are looking for some action when you realize that God wins the war without a single shot actually being fired. 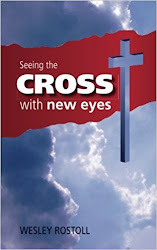 Chapter 5:5 tells us that the battle has already been won on the cross. One of the central points John is trying to make in the book is that we don’t fight like the world does but rather we are victorious in imitating the Lamb. So if you are like me and this verse puzzled you in the past then take comfort, He is still the same yesterday, today and forever. Even in Revelation. The "What if" question everyone has about nonviolent resistance. Whenever the topic of nonviolence is mentioned in a conversation there is a question that without fail will always come up, the wording may vary but it will always be something along the lines of, “But what if someone had to break into your house and threaten your family?” It is a natural question to ask because everybody wants to keep their loved ones safe from potential harm and while I imagine that there are thousands of people out there better qualified to answer this question than I am I will nevertheless try to answer it first by using a simple illustration and then by looking at an example from the life of Jesus as well. Imagine for a moment that there was a man who had two children, he loved both of them dearly despite their flaws and shortcomings. Imagine that one night the two kids got in to a fight and one pulled a gun out on the other. What would the father do? Would violence against the aggressor be his only option or might he try something else? No doubt he would first try to calm the situation down hoping that no one would end up getting hurt. His concern would be for not only the son whose life was in immediate danger but also for the son whose life was in danger of forever being ruined were he to pull the trigger. There might even be some physical restraint exercised in the ordeal but certainly the priority would be that no harm would come to either son. If the trigger were to be pulled the father might even resort to stepping in front of the bullet himself, giving his life to save another. The big difference between the initial question that I asked and the story that I set up is that I made it personal by making the aggressor part of the family. No longer was the perpetrator faceless but we gave him an identity and value in the fathers eyes. Doesn’t our Father in heaven value all people in a similar manner? As humans we simply cannot know every person on earth so intimately and affectionately, we all have our favorites that we would do anything for, the people whom we have close bonds with. But God is not limited in the ways that we are, He knows each one of us by name. God saw us while we were still being formed in the womb; He can look at all mankind and say that He desires that none would perish. When we were utterly helpless, Christ came at just the right time and died for us sinners. Now most people would not be willing to die for an upright person, though someone might perhaps be willing to die for someone who is especially good. But God showed His great love for us by sending Christ to die for us while we were still sinners. And since we have been made right in God’s sight by the blood of Christ, he will certainly save us from God’s condemnation. For since our friendship with God was restored by the death of his Son while we were still his enemies, we will certainly be saved through the life of his Son. So now we can rejoice in our wonderful new relationship with God because our Lord Jesus Christ has made us friends of God. While I was thinking about the classic, “what if someone broke into my house” argument I also realized that a similar scenario had indeed taken place in Jesus’ own life, leaving us with no doubt as to how a Christ follower should react in the face of violence. The story does not take place in a home but in a garden on the night of His arrest and the family He was with was not His flesh and blood relatives but the ones He Himself considered to be His real family (Mark 3:33-34). Looking at the various accounts as they are recorded in the gospels we pick up quite a few details from this event. We know that it was night time and that Judas arrived on the scene with a large contingent of Roman soldiers and temple guards (John 18:3) who were heavily armed (Matthew 26:55). One of men with Jesus, identified as Peter in John’s account, goes into survival mode, takes out a sword and cuts a man’s ear off (John 18:10). Peter’s reaction was really the response that the question this article was written about would justify. Except that Jesus rebukes him for his action and despite the danger that He himself was in, we see something remarkable take place. Jesus’ response reveals that He was concerned with the well being of all parties involved. We see it as He heals the wounded man’s ear (Luke 22:51) and also in Him telling the soldiers that He was the one they wanted and to let His disciples go (John 18:8). Jesus’ response reveals to us at least three things. Number 1, there is always an alternative to violence, even if it means laying down your own life for another. Number 2, the heart of God was for the well being of all parties involved. In the same way that He wanted to protect His disciples, He didn’t want to harm even those who sought to kill Him. Then lastly number 3, we do not overcome evil by doing evil but we conquer it by doing good. Romans 13:20-21 says, “If your enemies are hungry, feed them. If they are thirsty, give them something to drink. In doing this, you will heap burning coals of shame on their heads.” Burning coals in scripture has a cleansing connotation (Isaiah 6:6-7), meaning that you do not conquer your enemy by becoming like him and destroying him but you overcome evil by showing him the love of God and making him like you. This is nice theology in theory but one cannot say how they would react in the heat of a moment if they found themselves in a dangerous situation. 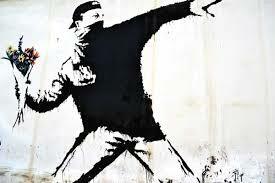 I do however believe that nonviolence and enemy love can be learned as we learn to follow Christ. I used to drive around with a knife in my car and anytime I stopped at a specific traffic light where smash and grabs were common (both my wife and father-in-law have been robbed there), I would take the knife out thinking that I would not hesitate to thrust it into the arm of anyone who would break my window. After my initial encounters with Anabaptist literature and a more honest look at the Sermon on the Mount I ended up taking the knife out of my car and started praying for these people instead. For me it was a start, it wasn’t so much an embracing of pacifism but a deliberate action to renounce violence and start intentionally seeking the well being of others, even those who would harm us. I don’t know how I would react if something had to actually happen one day, I hope that I never have to learn the answer to it either. I am pretty certain though of how Christ would want me to respond. It's not the easy way, it's certainly not the popular way but it is the way of Jesus modeled for us on the cross. 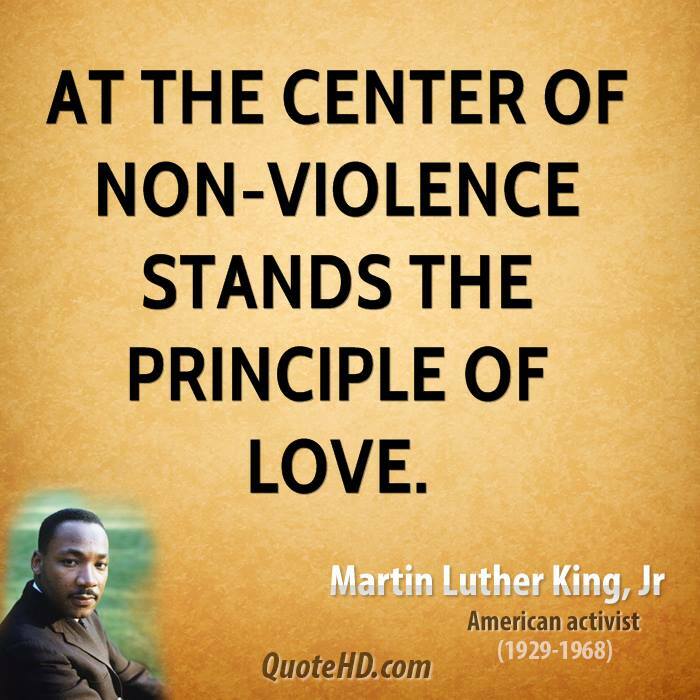 PS – I stumbled upon the website linked below last week, it seems to be a great resource for learning about nonviolence, if you want to learn more about nonviolence and if it actually works, check it out.